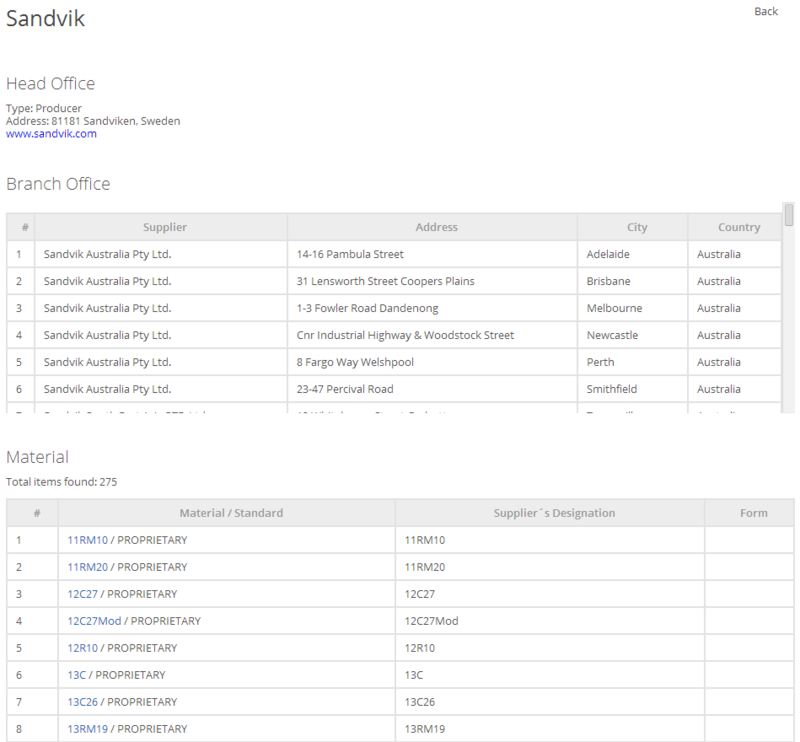 The Suppliers module in synergy with the Total Metals module gives you precise connections between material specifications and suppliers from all over the world. 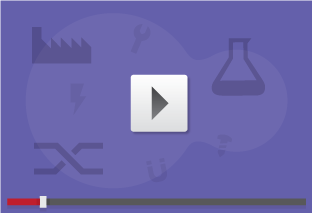 Allowing a direct link between materials of interest and finding suppliers across the globe, Suppliers allows for maximized communication and a critical starting point for the purchasing process. Maximizing efficiency between engineering and purchasing cross functional activities, Suppliers gives excellent time saving opportunities through three main benefits. 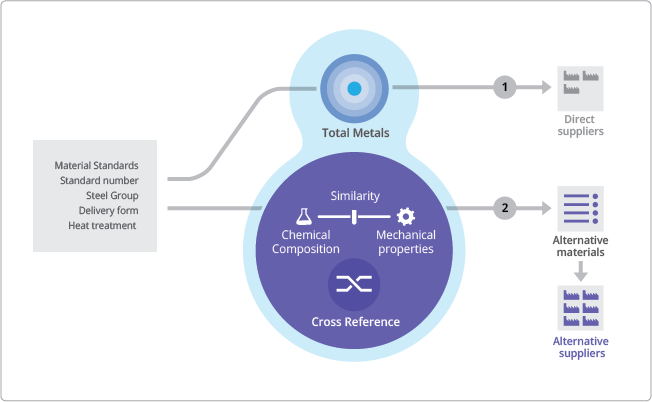 Look for alternative materials by using worldwide unique, patented technology for finding equivalents by chemical composition and by mechanical properties and any combination thereof. 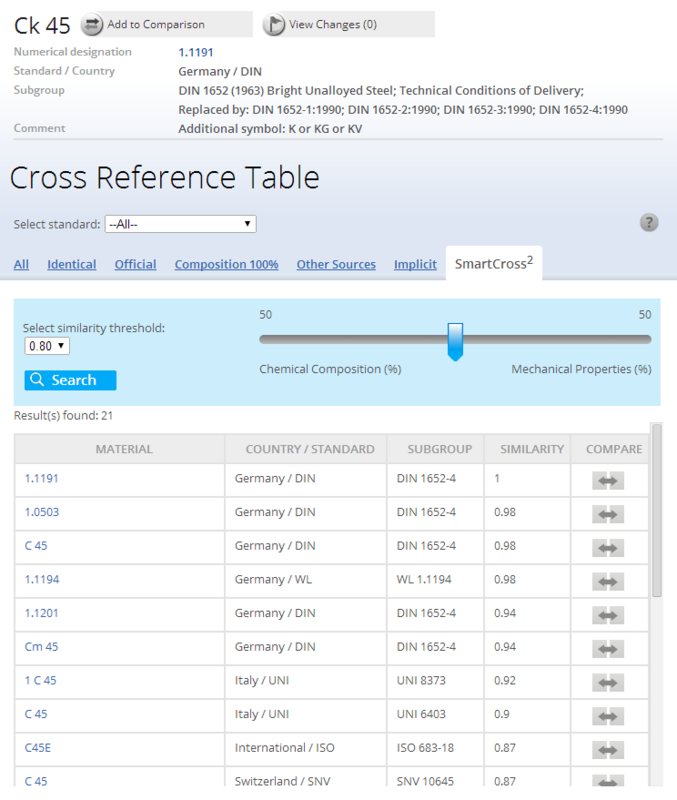 You can intuitively set the importance level of composition versus mechanical properties and the alternatives are displayed according to their similarity, with a hotlink to the Total Materia Database for detailed properties comparison. 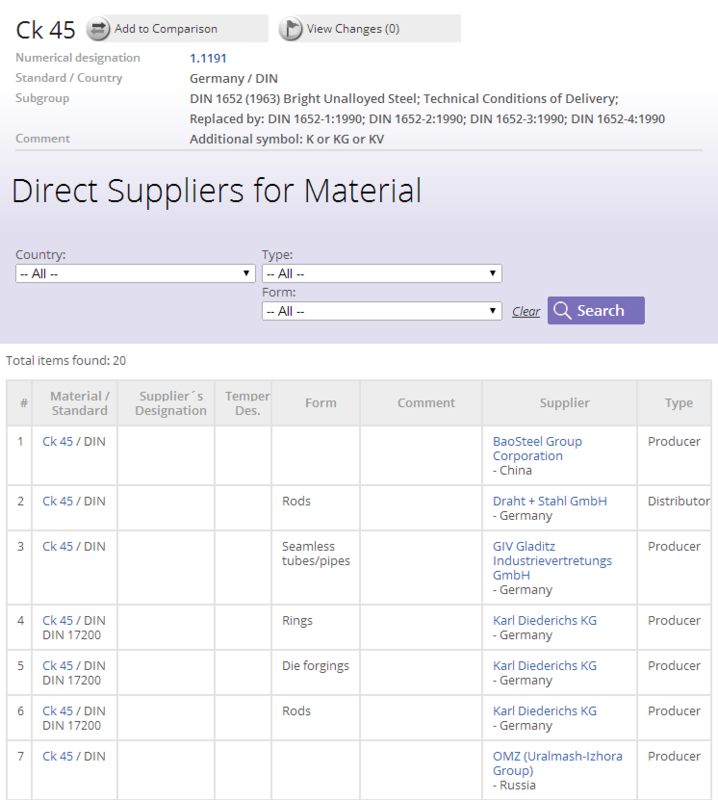 Provides a vital tool in communication between departments from engineering to purchasing and with the database covering materials from 74 countries, suppliers from across the world, and a platform that is available in 26 languages, Total Materia provides the complete solution.